Hastings Priory’s cricketers were soundly beaten in the quarter-finals of a county knockout competition. 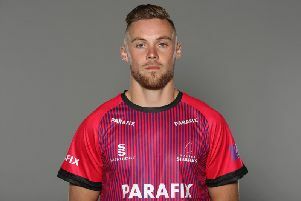 Priory lost by 74 runs away to Roffey in an all-Sussex Premier League Gray-Nicolls Sussex T20 Cup last eight tie on Sunday. Roffey got off to a fast start having been asked to bat, although Bradley Payne (1-44) did pick up the key wicket of Rohit Jagota (3) with the score 16. Liam Gibson (39) and Usman Khan (40) added 76 for the second wicket - the highest partnership of the match - until both were spun out by Jed O’Brien (2-22), who was the only Priory bowler to go for less than six-and-a-half per over, with the score 92. Chris Webb (37) and Matt Davies (18) put on 63 for the fourth wicket, but both fell to Josh Hahnel (2-28) in quick succession, and Elliot Hooper (1-27) bowled Oliver Rivers for a duck to leave Roffey 163-6. Josh Fleming (20 not out) and Theodore Rivers (11 not out) added useful runs at the end to give the hosts a substantial total of 187-6 from their 20 overs. Priory began well enough in reply with an opening stand of 32 between Jake Woolley (14) and James Pooley (17), but both fell within four runs of each other, and it wasn’t long before Priory were 49-4. Hooper top-scored with 34 at number four (following up his unbeaten half-century against Burgess Hill in the previous round), but last man Jack Coleman was the only other batsman to reach double figures with an unbeaten 11 as Priory were all out for 113 in 16.5 overs. Three Roffey bowlers picked up two wickets each, including Luke Barnard (2-5 off 2 overs), and three of the other four wickets were run outs. Matt Davies had three catches and a stumping. Priory and Bexhill were both victorious at the same stage of the Gray-Nicolls Sussex 2nd XI T20 Cup, however. Priory won away to Roffey and Bexhill triumphed at Brighton & Hove to set up a semi-final against each other at The Polegrove on Sunday July 24.